September has been a magical month for the Bath Women’s Institute Edible Garden! 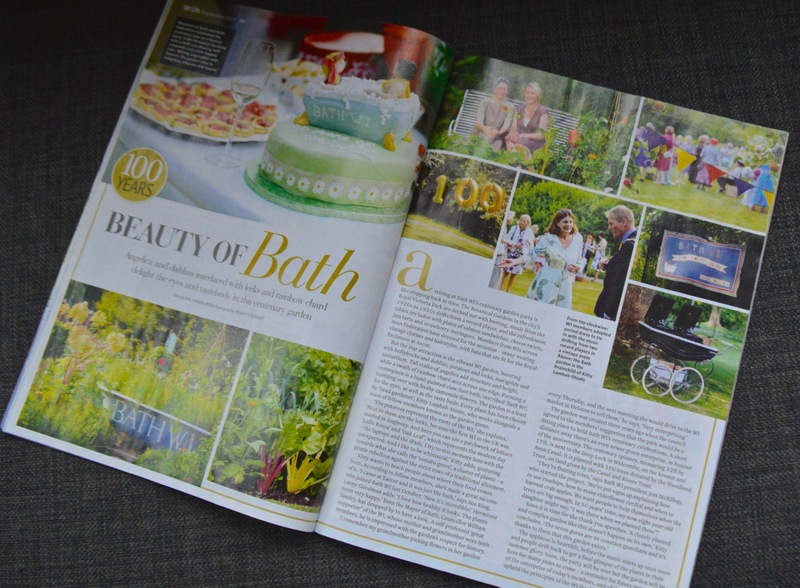 It had a centre page spread in the September issue of WI Life Magazine, featuring our annual July Garden Party. There were glasses of fizz, delicious nibbles, and colourful yarn bombing setting the scene on a glorious hot summers’ evening. The beautiful photographs showed the garden in all its July glory, the nasturtiums sizzled, the beans bounced, and the guests relaxed on our bench in this sylvan setting . Our Garden is very photogenic, and we are so lucky that our talented photographer Guru has such a wonderful eye for catching the bees as they feast on the nectar, seeing the sunlight reflected on a bright red stalk of rainbow chard, or capturing the bath’s camomile bubbles as they float on the breeze. 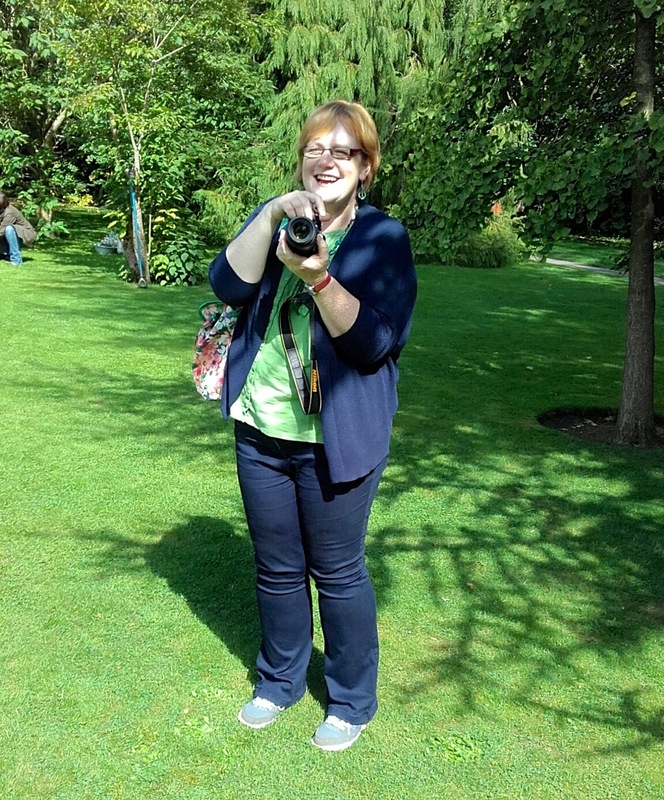 She puts her beautiful photographs on our websites for all to enjoy, and the Garden is thankful that because of her, all its loveliness is seen by so many who cannot visit the Garden in person. The iconic BBC gardening programme Gardeners’ World featured Our Garden on September 11th ! Yes, our wonderful WI Edible Garden was chosen as part of a Gardeners’ World special feature on the Centenary of the Women’s Institute in Britain ! What an accolade, and what excitement! Our Gurus rose to the occasion, and the Garden was so proud to be filmed both in situ, and also, later, some of its runner beans were picked and pickled in true WI fashion! And of course, they were pronounced ‘ quite delicious ‘ by Rachel de Thame, the lovely presenter. A huge Well Done to every one of our talented Garden Team who have created this beautiful Garden; now “as seen on TV“! Thank you Adderbury & District WI!